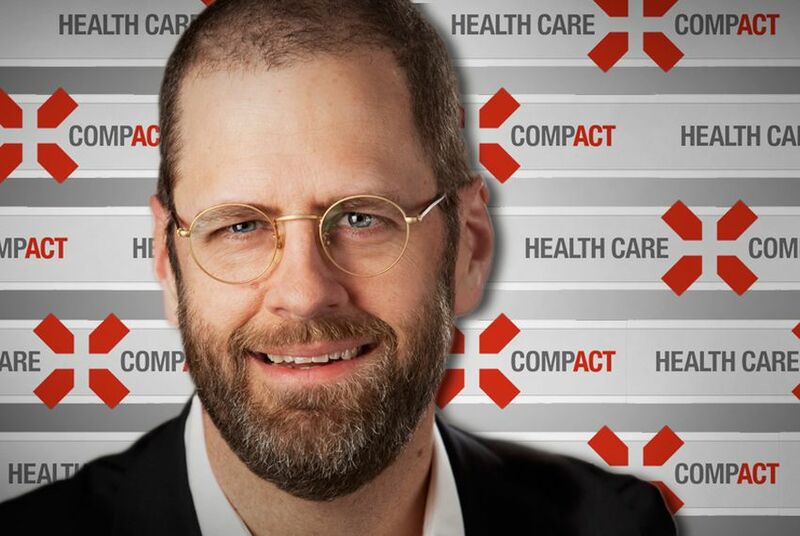 The Houston builder and Health Care Compact Alliance vice chair on how an interstate compact could fix health care in Texas — and give the state some semblance of local control over what he calls an unsustainable health care system. Leo Linbeck III, Houston builder and vice chair of the national Health Care Compact Alliance. Houston builder Leo Linbeck III says he didn’t ever think he’d wade into Texas health care politics, despite his previous work with charter schools, and his namesake father’s history as co-founder of the tort reform-friendly Texans For Lawsuit Reform. Now, the self-proclaimed "conservative communitarian" is right in the middle of it as vice chairman of the national Health Care Compact Alliance. In an interview with the Tribune, Linbeck, who lectures in the MBA programs at Stanford and Rice University, pitches an interstate compact as the way to fix health care in Texas — and give the state some semblance of local control over what he calls an unsustainable health care system. TT: What’s the message behind the Health Care Compact Alliance, the national group with a Texas branch that’s lobbying for states to try to take control of their health care systems? Linbeck: The focus of this group is governance reform — our ultimate goal is to restore self-governance. It’s not nullification, it's not secession. What it’s an attempt to do is to organize the states in a way that’s constitutional, to use an interstate compact to devolve power over health care away from a centralized federal government. I can’t stand monopolies. And what has happened in health care is an accumulation of power and control and influence in Washington D.C., so federal politicians, big corporations, lobbyists and unions get together and cut a deal. This is bad governance, and it has created a system that is unsustainable. Think about this: I’m in the construction business, where I’m paying guys $15 an hour, and they’re paying taxes that are going to Washington that are then sent back to Texas to pay for my dad’s health care. That’s just wrong. And the fundamental problem is that decisions are being made too far away from the people. The Health Care Compact is an attempt to reverse that. Is state government a paragon of virtue? No. But it’s all relative — the federal government has a deficit of $4700 a person. The state shortfall is $400 a person. TT: Who’s behind the effort for a health care compact, other than state Rep. Lois Kolkhorst, R-Brenham, who has filed legislation in the House, and the Texas Public Policy Foundation, which has done much of the policy legwork? Linbeck: The Health Care Compact Alliance is a group of people spread out nationally. I’m the president of the Texas nonprofit, and the vice chairman of the national organization. We don’t take money from health insurers, from big pharma. The Texas effort has raised about $300,000, from a mix of people, which funds a lobby team and grassroots activity. Our lobby team is led by former Republican state Sen. Kyle Janek and Mike Toomey. The funders are private citizens, small business guys and a few political entrepreneurs who believe in the whole idea of self-governance. A lot of folks in the Tea Party movement have gotten involved, which is great, but I’m not a Tea Partier. And our effort is not partisan. Sure, there are a lot of people who got involved because they don’t like Obamacare. For me, the system was broken before [the federal health overhaul]; it’s more about the unfunded federal health care liability and the fiscal burden that’s going to create for my kids, my community, and my state. My fear is we’re going to end up with a centralized system that morphs into a two-tier system where only people with means have access to care. One where the federal government dictates the terms of trade. For government to regulate, oversee, structure the system, is okay. But we’ve gone a bridge too far. TT: How does a compact work, and who has to approve it? Linbeck: A compact is just an agreement between states. The Health Care Compact would transfer the money the federal government spends on health care to states, and give them the ability to suspend federal health care regulations. Compacts have to get congressional consent when they impinge on federal authority. It’s very clear the federal government has asserted authority over health care, so the Health Care Compact will require congressional consent. The idea is to organize the states to go to their congressional delegations and say, “We’re elected officials too. The people want this at the state level, they want you to do this.” So ultimately it’s a political fight. But if you get enough states — probably after you get more than 20 — and governors and state legislators say, “Give us the money, the power, and we’ll take care of our state,” that’s pretty powerful. TT: And if the president vetoes it? Linbeck: If he vetoes it, there are two ways to address that. Congress can override the veto, or else it becomes an electoral issue. But the president really should support this. He has spoken out about the importance of letting states have more flexibility; that's what the Health Care Compact is all about. Besides, does the Health Care Compact itself repeal Obamacare? No. It just gives member states the ability to do that if that’s what they want to do. TT: Why do you think states are better off handling their health care systems than the feds? Linbeck: The idea that federal bureaucrats are more virtuous, are more civic-minded than state officials doesn’t make sense. Besides, the problem is governance, not human virtue. Medicaid is completely dysfunctional — and it's a shared state and federal responsibility. This means neither party is fully responsible. It's just bad governance. If you took all the money currently being spent on health care, and spent it in a better way, you could meet the needs of the poor, the elderly, the disabled, and those who need long-term care. There's enough money, and with it the states could design the system their citizens want. Some states could go to a single-payer system, or an accountable care system, or to something where you leverage private insurance markets and provide people with direct subsidies, or something else. Ideally, you’d encourage competition and transparency. And while I’m sure there are legislators at the state level who would love to cut all Medicaid dollars, that's true of the federal level, too. In my mind there’s no question health care is something for which we feel a responsibility to others — at the family level for sure, and probably others in our local community. But the further out you get from that core, the more diluted that feeling gets. That's why self-governance makes sense. And that's why people prefer local solutions to community problems. And that's why federal control sort of let them off the hook. TT: Did the president do anything right with the federal health care overhaul? Linbeck: The president correctly diagnosed health care as the biggest problem in the federal government. The problem was how he tried to fix the problem — with something that accelerated the centralization of power, gave us more of what broke the system in the first place. There are aspects of the law that could be problematic from a constitutional standpoint, sure. But that’s going to resolve itself in the courts. And there are some good ideas embedded in the bill. The idea of health insurance exchanges — I get into fights with my Tea Party friends over this — is not all bad. It’s essentially an attempt at a market solution, to solve health care's terrible lack of transparency, which protects the "Bigs." But the system was a mess long before Barack Obama was an elected official. It is a bipartisan mess created over decades. The problem with the president's attempted fix is that expands centralized control. Ideally, health care decisions should be controlled by people in consultation with their physician — definitely not in Washington.